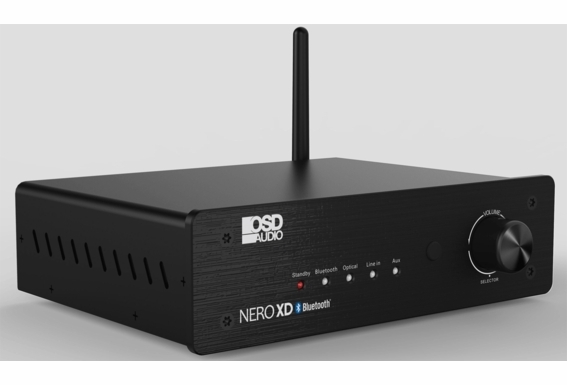 From OSD Audio comes NERO, a compact and powerful wireless and wired stereo amplifier that serves up big sound for two-channel and 2.1 audio systems. 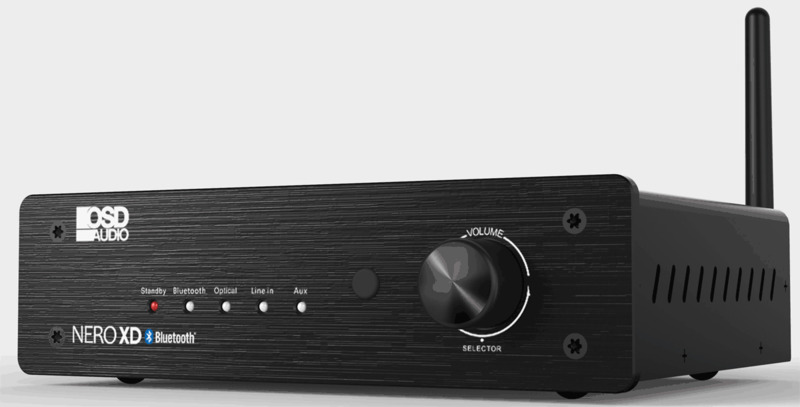 Capable of driving high-end tower and bookshelf speakers with pure clarity and volume, NERO will more than satisfy old-school 2-channel analog hobbyists as well as digital streaming enthusiasts. 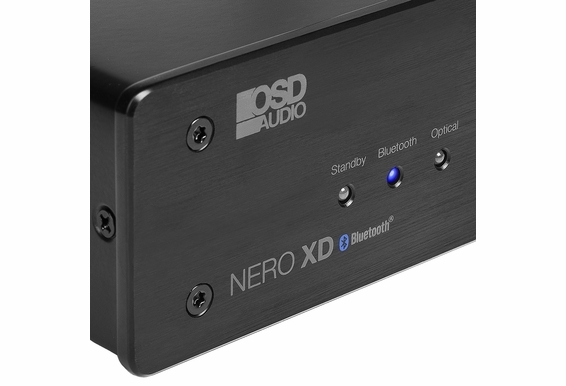 An extremely efficient Class D amplifier, the build quality is sturdy, yet NERO is compact enough to hide away in a closet. NERO also includes a built-in 4.1 Bluetooth wireless receiver, so you can stream your favorite jams as far as 65 feet away. 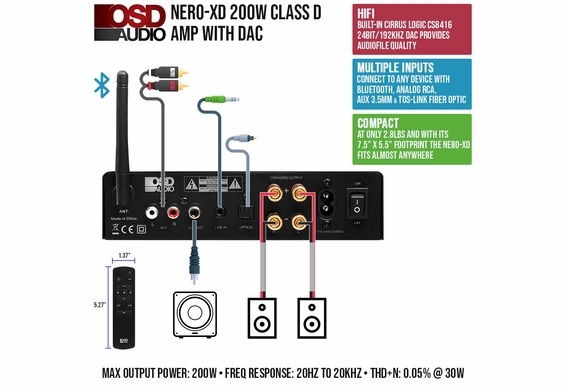 This powerful Class D amp includes input and output connections to accommodate any system configuration, such as analog RCA stereo pair and auxiliary 3.5mm for headphones or direct connection to your portable devices. 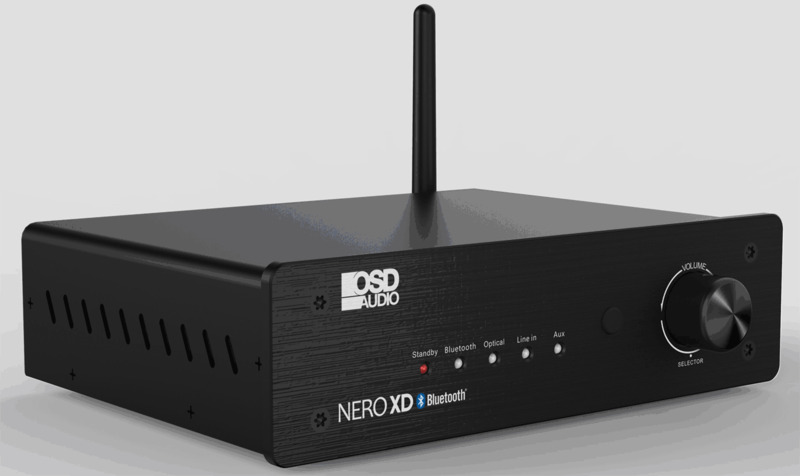 NERO also includes a USB connection and a Tos-link fiber-optic interface. 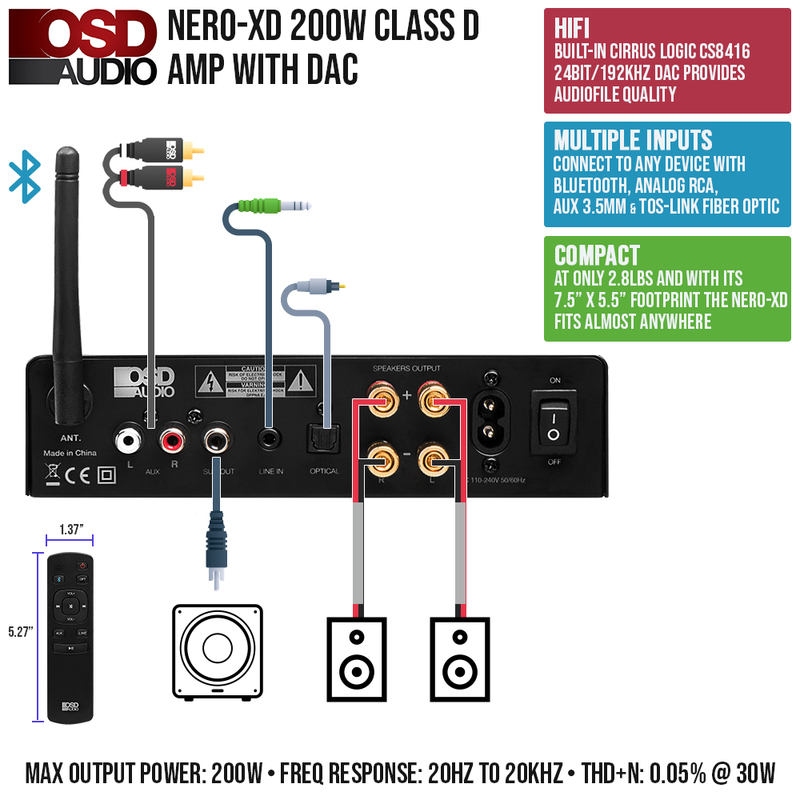 NERO includes an audiophile quality DAC converter (16 to 24 bits), so you’ll enjoy true high definition audio, as well as RCA inputs to connect to a subwoofer. 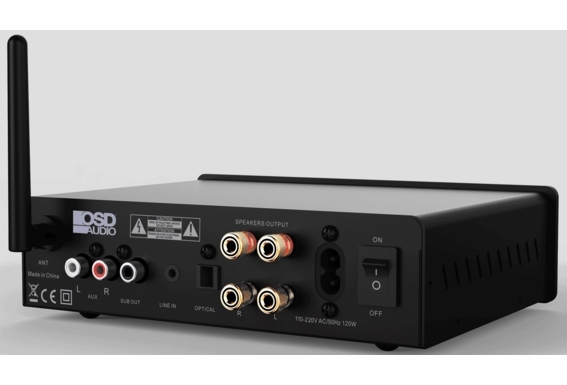 OSD Audio's 1st Bluetooth® Wireless Integrated Amplifier. Connect your subwoofer to SUB out. 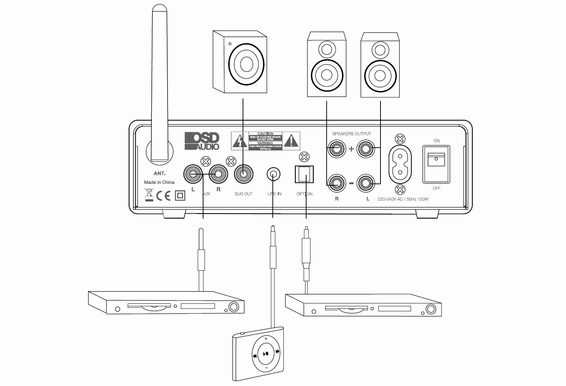 Connect your CD player via its RCA cable to the RCA L/R input. Make sure you connect the “L” plug to the left input channel and the “R“ plug to the right input channel. Connect your phone/tablet/MP3 via an AUX cable to Line In. Connect your DVD player via its optical fiber cable to the Optical Input. 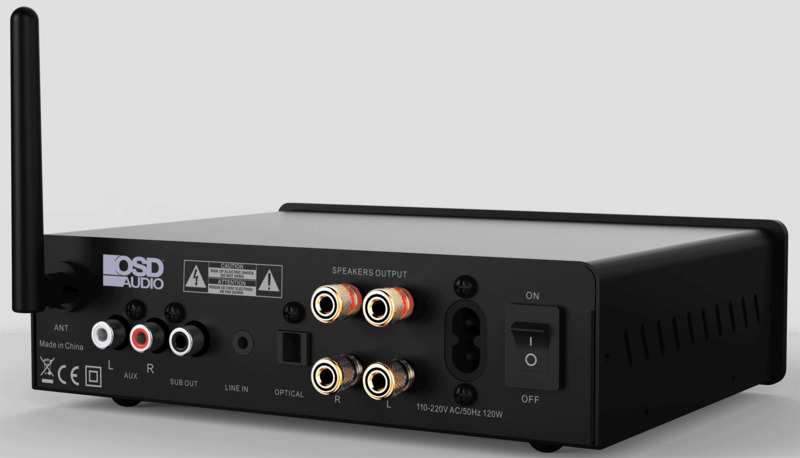 Connect your speakers to the Speaker Output. Make sure you connect the -/+ and the L/R cables to the correct input. 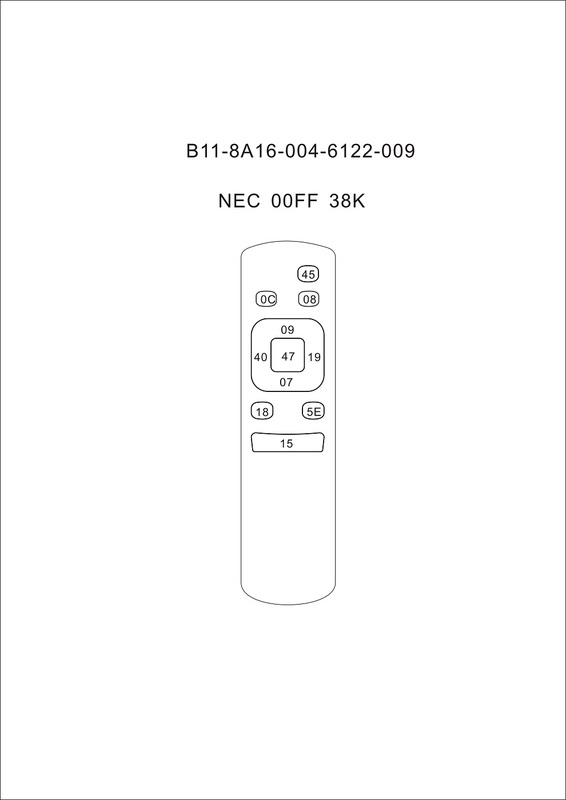 Note: Remember to press the desired source button on the remote control for the audio source to work. 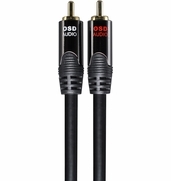 Dimensions (W x H x D): 7.5" x 2.15" x 5.5"
I have a Yamaha Subwoofer with single subwoofer cable out and plug it in to Sub out on Nero Amp.when I power on Subwoofer there is no sound comming from amp. will this amp power two thunder pro 2 heavy duty speaker mtx? 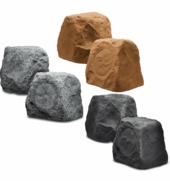 Will this work with two pairs the ACE 850 8â€ speakers and a subwoofer? Will I need more power for the sub? Would this be able to be connected to an ISS6 and not damage the unit? 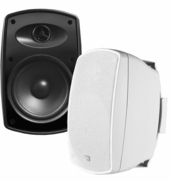 Can this be used with your svc300 volume control and two ceiling mounted ICE800WRS 8" speakers? Are you Going to release a Wi-Fi enabled amplifier? I see the amplifier has a sub out does volume go up and down on the sub when you turn the main volume up and down . Right now I have a 200 watt mini Pyle Amp I got the sub plug in but when I turn down the main volume the sub does not turn down with the main volume. Before your amp I would to know. 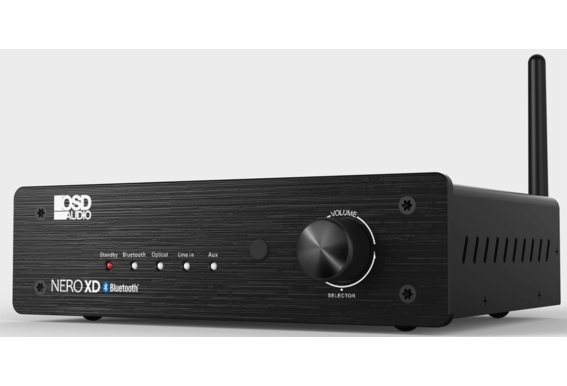 Does this amplifier make a receiver bluetooth capable? Is there a setting for 4 ohm or 8 ohm resistance, or does the receiver automatically sense and adjust? 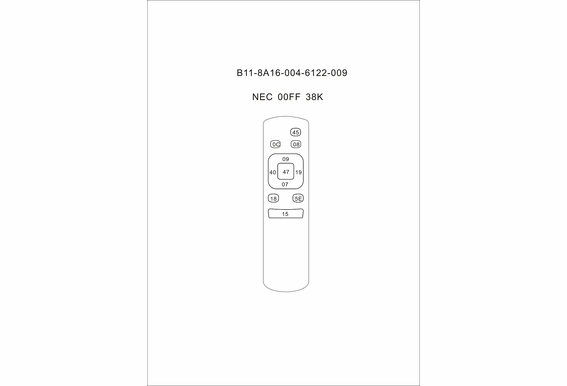 Can you change the bluetooth advertised name? pin code? If a large order were made could you customize name/code at factory?